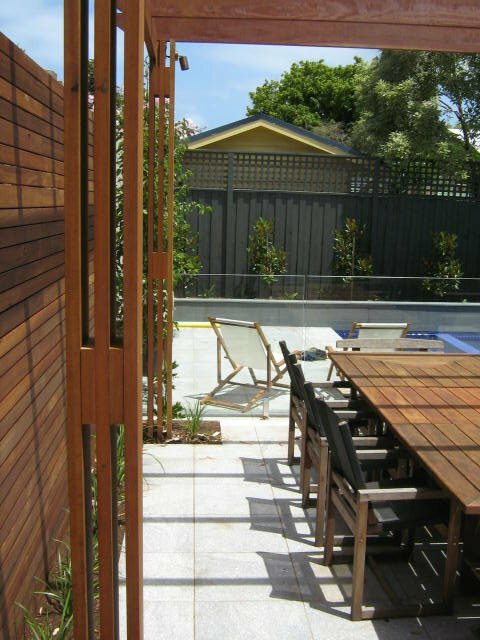 This stylish landscape was created for a family with children so they could enjoy Summer in the backyard. 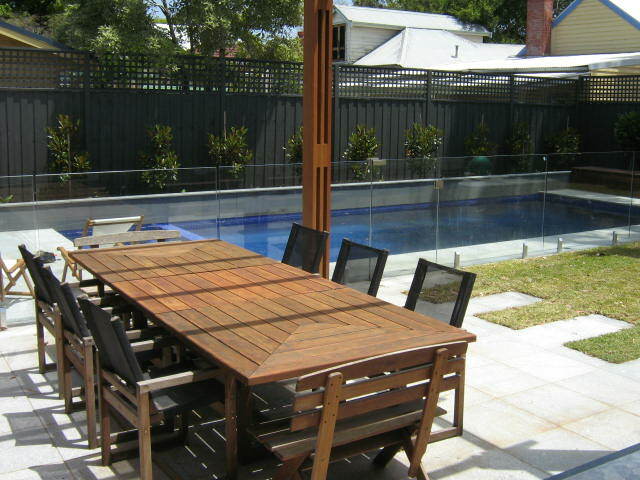 Featuring an outdoor eating area with a built in BBQ, enough lawn to play on and a pool to cool off in. 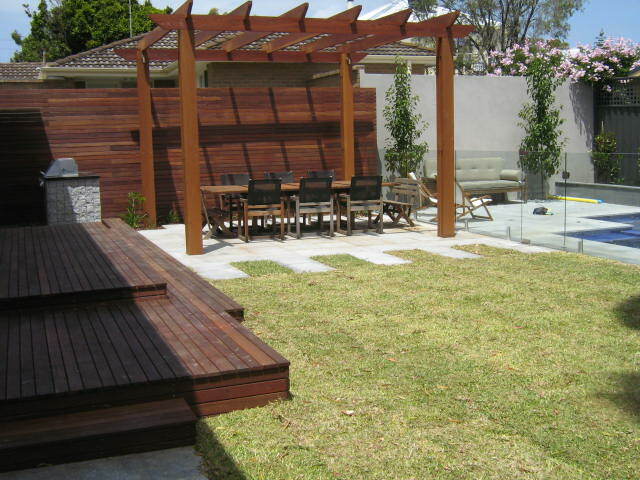 This landscape was a designed by a landscape designer. "I just wanted to thank you both for the tremendous effort you put in to help us create our now-resort-like garden... It felt like you both really put your heart into your work - and it shows! 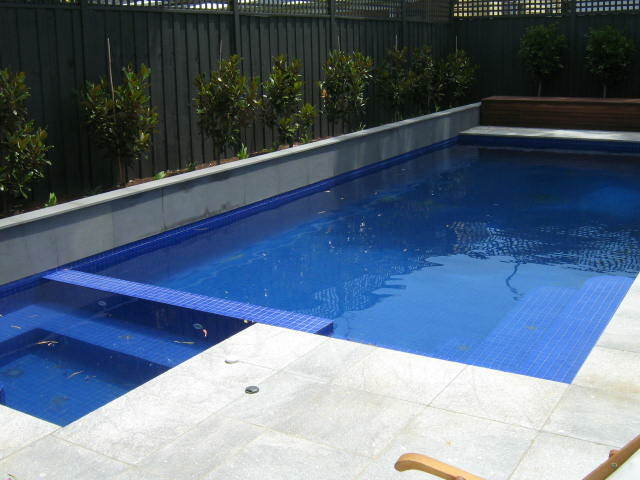 You kept us up-to-date with progress, and went above and beyond the call of duty to get it finished before the holidays."